Anne Seymour, Jane Dudley and Elisabeth Parr all have their own unique stories to tell. 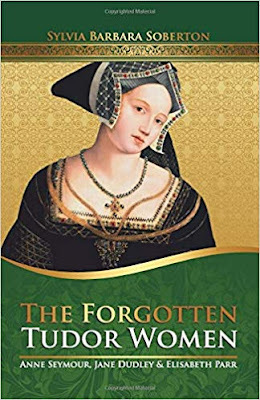 Born into the most turbulent period of England’s history, these women’s lives interplayed with the great dramas of the Tudor age, and their stories deserve to be told independently of their husbands. Anne Seymour served all of Henry VIII’s six wives and brushed with treason more than once, but she died in her bed as a wealthy old matriarch. Jane Dudley was a wife and mother who fought for her family until her last breath. Elisabeth Parr, sister-in-law of Queen Katherine Parr, married for love and became Elizabeth I’s favourite lady-in-waiting. The Tudor age was a hazardous time for ambitious women: courtly life exposed them to “pride, envy, indignation, scorning and derision”, executions were part of everyday life, death in childbirth was a real possibility and plagues sweeping regularly through the country could wipe out entire generations of families. Yet Anne, Jane and Elisabeth lived through all this and left their indelible marks on history. It’s high time for these women’s stories to be heard.